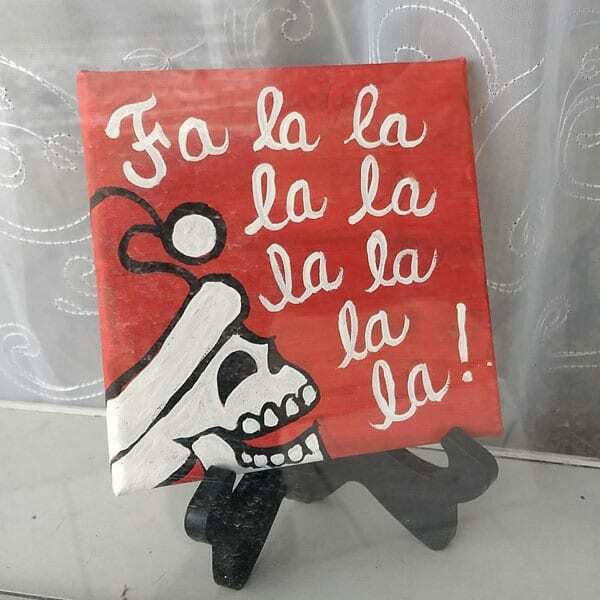 Falala skelly xmas painting, 6×6″. ©Marie Marfia. 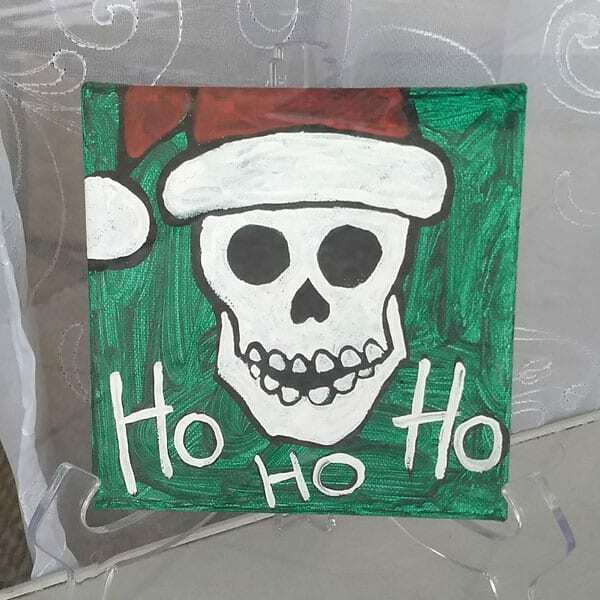 Ho ho ho skelly painting with santa hat in red, green, black and white. ©Marie Marfia. 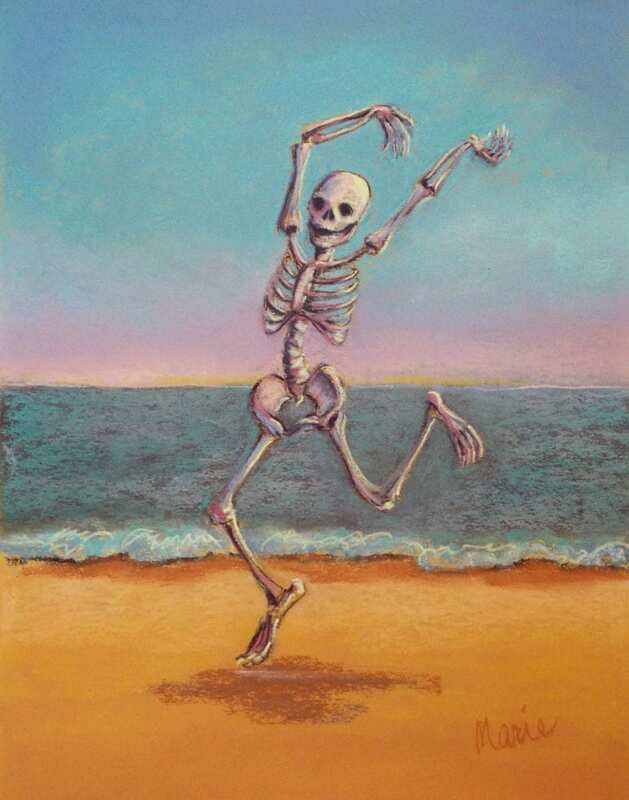 Meet me under the mistletoe skelly painting by Marie Marfia. ©2018. 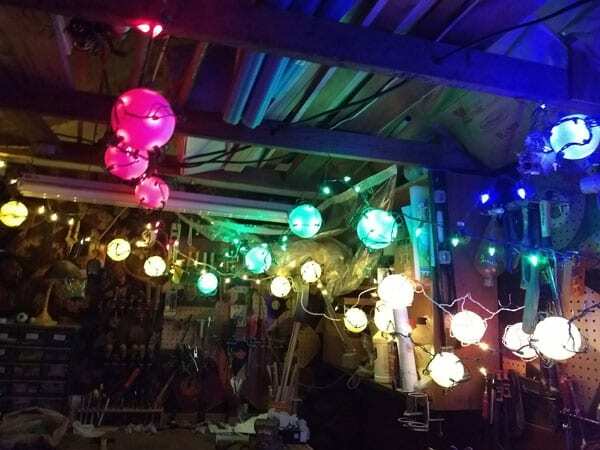 Still have to get some lights, too, but maybe Steve will let me use some of his. Here’s what he’s up to, the mad man. What are you doing for Christmas decorations this year? 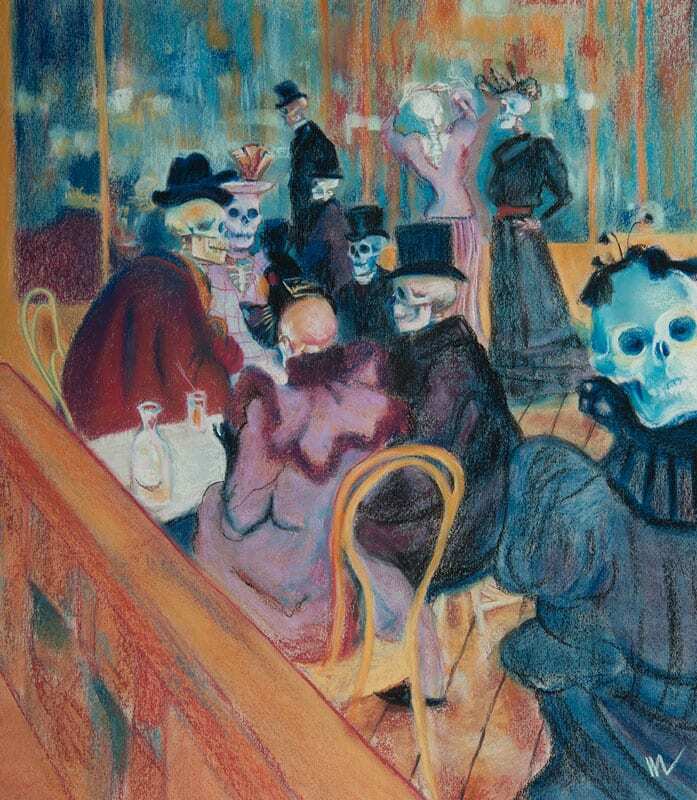 Name this Skelly painting and you could win a print! 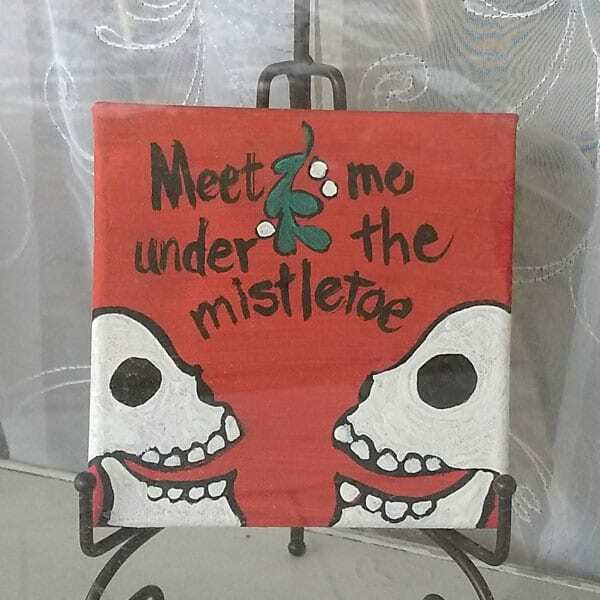 This entry was posted in painting a day, Skeleton, skeletons, skelly and tagged christmas, christmas decor, falala, mistletoe, santa hat, skeleton, Skelly, skull on November 28, 2018 by Marie Marfia.